In November, I promised a giveaway and I don't like to disappoint. This contest will run the duration of the month to give everyone a chance to enter. On to the details. The Walking Dead wrapped up its first season last week. Better yet, it lived up to the hype that surrounded it. 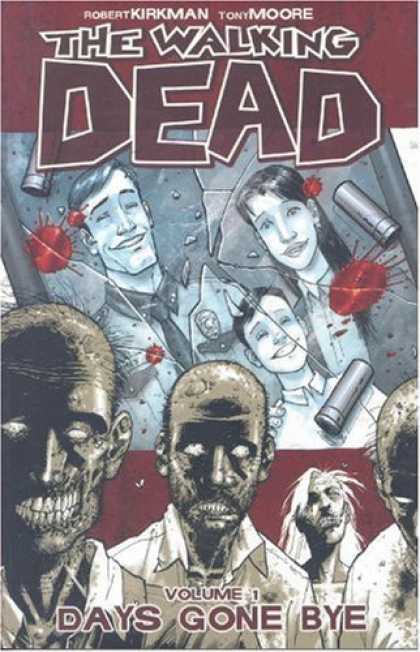 For those die hard fans, I have a copy of The Walking Dead Vol 1: Days Gone Bye to give away. This book is a compilation of the first six issues of the comic book. Go crazy on the compare and contrast. The second prize up for grabs is a new twist on an old story. 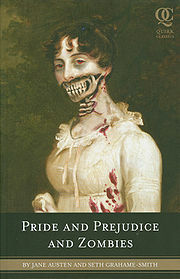 Pride and Prejudice and Zombies By: Jane Austen and Seth Grahame-Smith takes the classic novel beloved by many and tosses plot and characters right in the middle of the land of zombies. This book received some major buzz, resulting in a possible movie (starring Natalie Portman), comic book series and it's own video game. But it all started with the book and here's your chance to own a copy. 10+ - Tell me who your favorite Walking Dead or Pride and Prejudice and Zombie character is and why. Leave a comment (1 per person), itemizing your points with any mandatory links. Also include your name and email address for notification purposes. Good Luck!!! I would like to join but why US residents only? Shipping is quite expensive and my funds are limited. Maybe next time. My favorite The Walking Dead Character would have to be Rick Grimes, he's persevered through a coma, nearly getting killed by Morgan. Having his wife cheat on him with his best friend and partner, nearly getting ripped apart in Atlanta by the onslaught of zombies. And making it through some HIGHLY difficult decisions and still able to keep a high sense of morality and justice while bending the rules to the crazy world that they now live in.